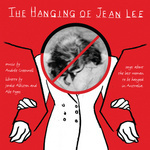 The hanging of Jean Lee : songs about the last woman to be hanged in Australia / music by Andrée Greenwell ; libretto by Jordie Albiston and Abe Pogos. The hanging of Jean Lee : 30 songs about the last woman hanged in Australia (concert version) / music by Andrée Greenwell ; script by Abe Pogos and Jordie Albiston. A music theatre work that tells the story of the last woman to be hanged in Australia in 1951. A variety of vocal and performance styles, recommended for upper secondary and tertiary study or performance. Based upon the verse history by Jordie Albiston, libretto by Jordie Albiston and Abe Pogos. Instrumentation: 6 vocal leads, chorus, violin, trumpet, woodwind, electric guitar, 2 keyboards, bass guitar, drumkit and percussion. Contents note: Murder at Mallow House -- Mug shot I -- Dear diary 1934 -- Saturday Arvo -- I have a baby -- Girl meets boy -- Living it up -- You stalker -- Go West Young woman -- Learning the trade -- Bobbie and Jean -- The badger game -- Divorce file -- Spring Carnival fever -- Seduction scene -- Behind the shelter shed -- Interrogation song -- Coroner's report -- Pentridge poem -- Mug shot II -- Jilly's song -- Cell talk -- The hangman's handbook -- Dear diary 1951 -- Final night -- Fly away Jean. Based upon the verse history by Jordie Albiston. 8 Dec 2013: at The Hanging of Jean Lee (North Melbourne Town Hall (Arts House)). 7 Dec 2013: at The Hanging of Jean Lee (North Melbourne Town Hall (Arts House)).